The Blue Water School of Surfing centers all of its activities on surfing and ocean safety education, all the while ensuring fun and exciting adventures. 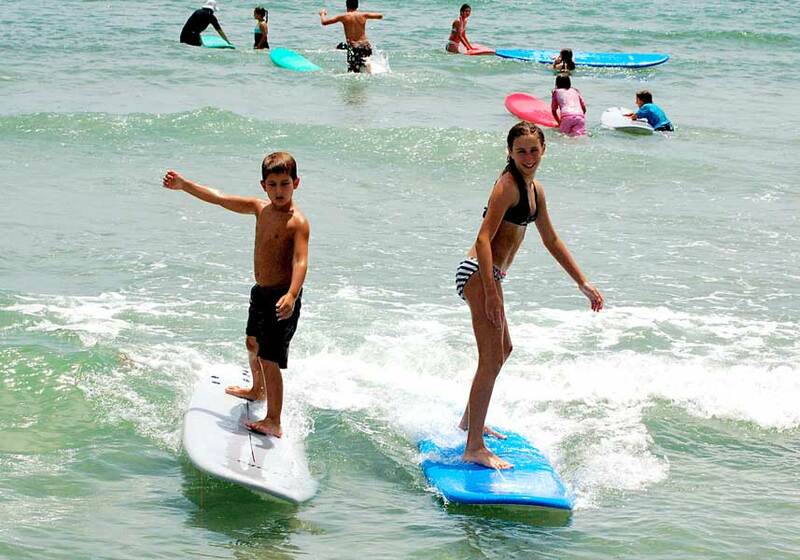 Surfing, ocean safety techniques, Indo Boarding, dodgeball, Jet Ski Tow-Surfing, wakeboarding, tubing, underwater endurance training, beach golf, surf yoga, and snorkeling are some of the activities the students will experience. 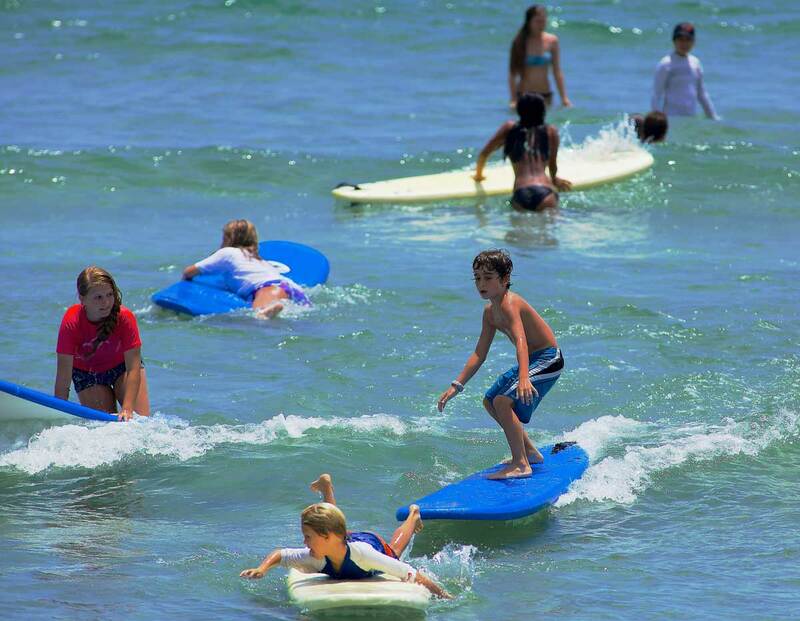 Surf Camp is for the beginner and advanced surfer. 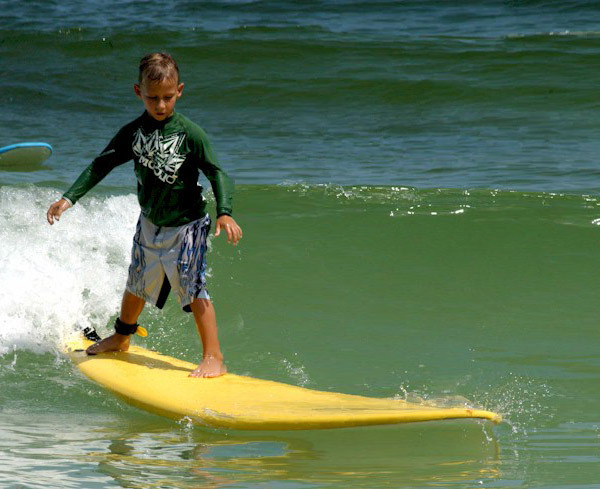 If you already know how to surf, you will learn competitive strategies and accelerate your surfing skills. 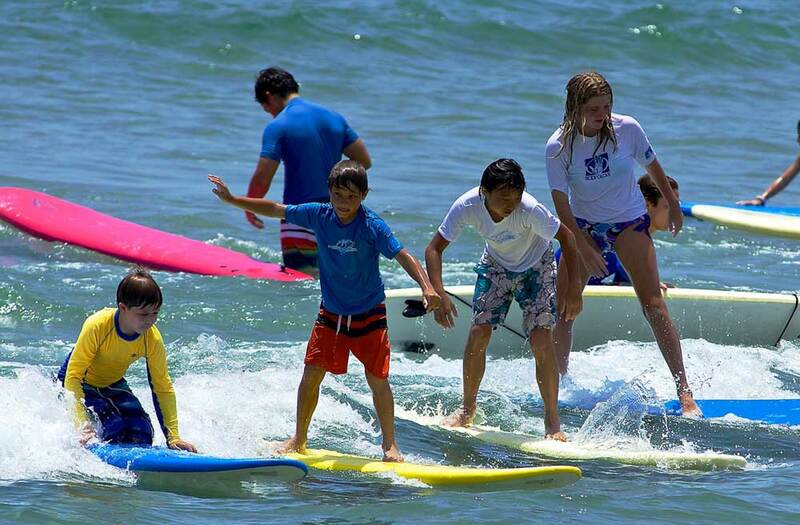 Other activities and Competitions will include, paddling races, Dodgeball, Indo boarding, snorkeling, and jet ski tow surfing. and ocean safety education. Aftercare 2:00 – 4:00, $20 per day or $100 additional per week. Friday afternoon lunch with an awards presentation that provides a unique closure to a week of exciting events and accomplishments. Blue Water’s Surf Camp is suitable for kids of all ages and skill levels.